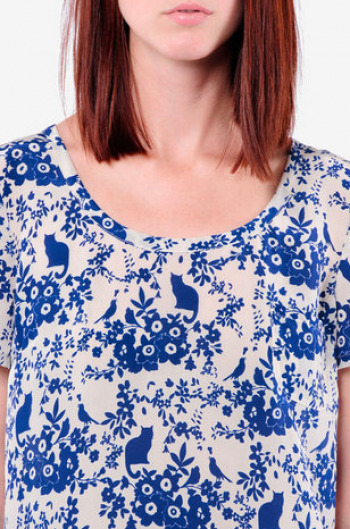 The feline form isn’t limited anymore to just being screen printed onto cutesy, hip or vintage-inspired t-shirts. Cats are becoming much more of a fashion industry mainstay these days, even influencing high-fashion designers and labels like Victoria Beckham and Chanel. Chanel's creative director Karl Lagerfeld with his feline muse, Choupette. 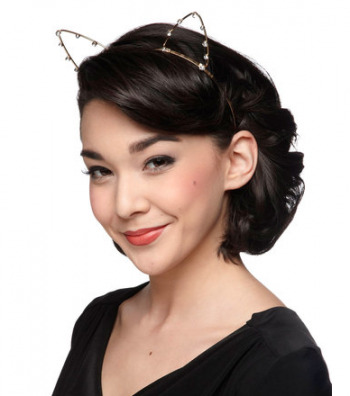 Breakout designer Jason Wu’s special line for Target that launched earlier this year featured some decidedly sassy feline designs, and during New York Fashion week earlier this month a real feline named Lily totally stole the show when she walked the real catwalk with the models. Also at Fashion Week, Glamour magazine debuted a Cat Fashion Concept Store. No joke. If you’re still not convinced of this obvious trend, Glee star Lea Michele wore an edgy, kitty ear-inspired headband on the September 2012 cover of Nylon magazine. 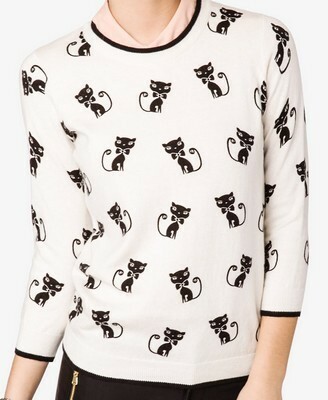 If you want to take all of this as a sign of something, it’s clearly that cat fashion is having its moment and designers everywhere are sending a message that it’s cool to be catty when it comes to your attire. 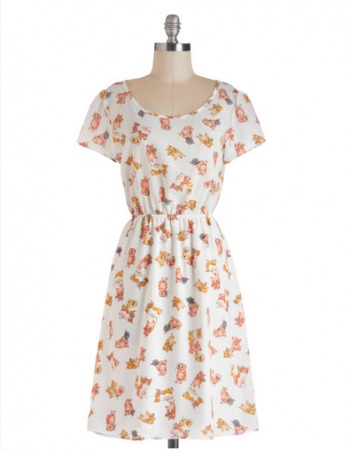 And while most of us practical, thrifty folk can’t afford to buy cat-inspired attire from lines like Chanel or Victoria Beckham, there are tons of more affordable options out there that mimic some of the edgiest, trendiest and coolest looks. 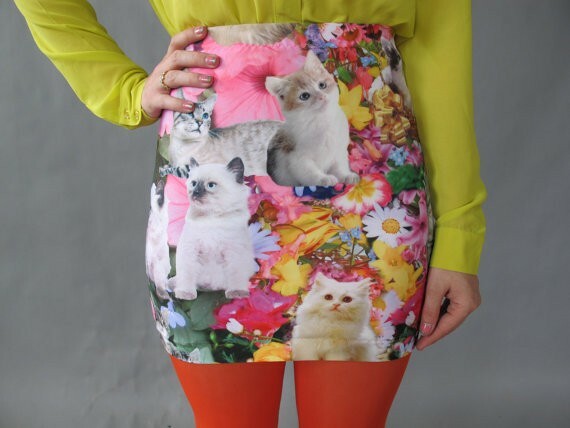 In our opinion though, the best part of cats being super on-trend in fashion right now is that cat people everywhere can dress to impress while also proudly displaying one's love of kitties. 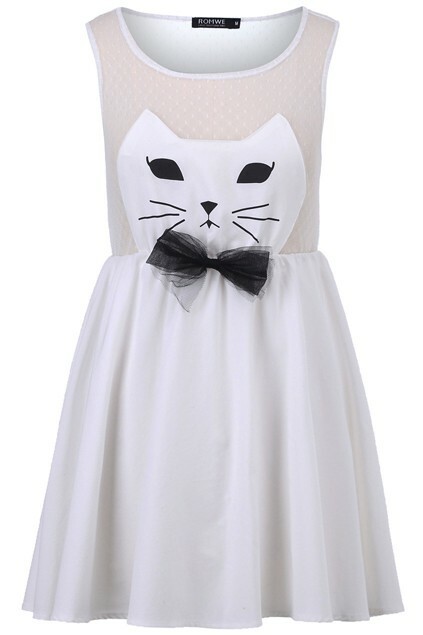 Here are some more affordable cute cat clothing options!